Since this project was first proposed, a large percentage of the community of Bala Falls have been opposed to it. Citizens have lobbied, marched, picketed, petitioned and railed against this abomination being built in the heart of their town. 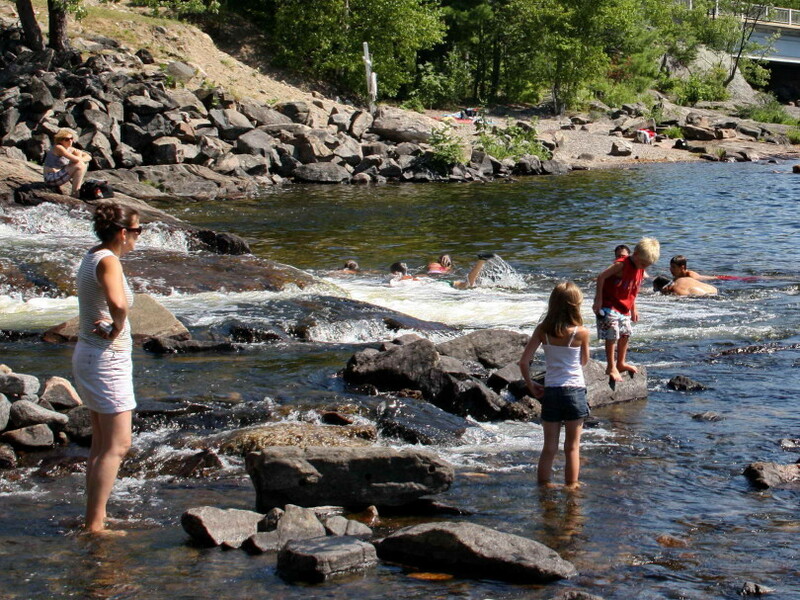 Immediately downstream of the dam is a favourite public swimming and picnic area that draws local residents and tourists from far and wide. This project will pose a public safety risk; however, there is no Public Safety Plan – it wasn’t included in the initial Environmental Report, nor was it adequately addressed. It was unacceptable in 2012, and it’s still unacceptable – it should never have been approved in the first place. The vast majority of the community continues to oppose a proposed hydro-electric generating station at the Bala falls (Bala is 25 km north-west of Gravenhurst), which is where Lake Muskoka flows into the Moon River, and eventually flows to Georgian Bay and Lake Huron. Rob Stewart narrates this short trailer for an upcoming film on Corruption and how money and industry can subvert democracy. The small town of Bala, Ontario, where Rob spent time growing up, is under threat. A private corporation wants to build a hydro power plant on top of the town’s historic and ecologically significant waterfall, which serves as the town’s main tourist attraction and economic driver. Surveys show 93% of townspeople don’t want the power plant there, but some local politicians are big supporters of the project. The company has tried to crush the townspeople’s hopes of opposing the plant by claiming, “it’s a done deal” for years, despite not having all the appropriate permissions and permits. The town of 600 people have been fighting this power project for ten years, and they need help to magnify their voice. We got involved to see if a film could change the world again – and we need your help. Visit savethebalafalls.com and sign the petitions and send letters to the government to show your support for environmental protection of these sacred and historic waterways. It’s Not a Done Deal – the fight for Bala Trailer #1 from Rob Stewart on Vimeo. Section 65(4), which requires that portages not be obstructed – and the proposed generating station would obstruct the traditional Bala Portage. As requested and required by the MNR, we were able to locate historic documents confirming not only that the portage was south of the Bala north falls, but that it was established before the original Crown land patent was granted. 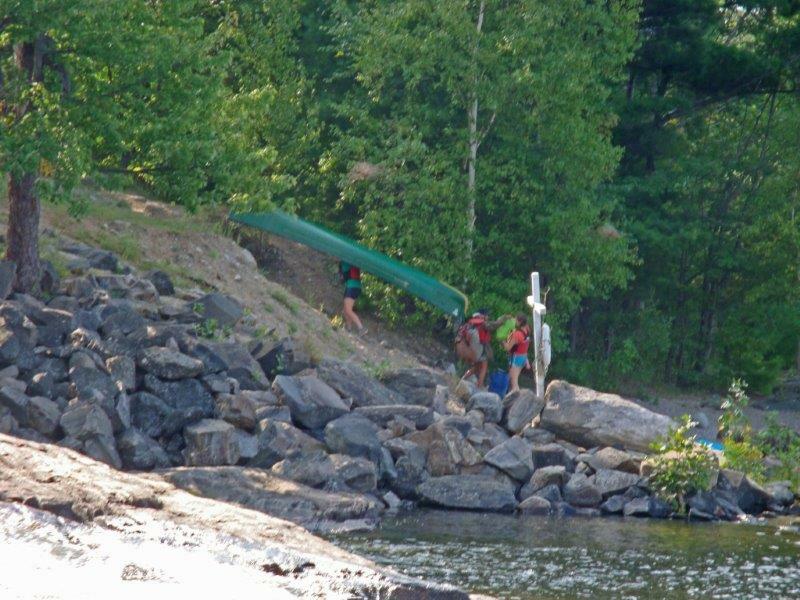 That is, as a result of our claim that the Public Lands Act does not permit the MNR to obstruct the Bala Portage, the MNR requested information, and we provided this information, yet they simply ignored and denied what we provided. Section 3, which states that if less than 25% of the shoreline frontage of a body of water is Crown land, then the publically-accessible Crown land shoreline cannot be further reduced. And in fact, on the Moon River, there is less than 25% of Crown land frontage, and this would be further reduced by the proposed generating station. The Township was able to show that the MNR did not follow their own required Policy PL 3.02.01 in determing Crown land frontage. However, the MNR simply ignored this policy and presented an incorrect calculation to the Court. Unfortunately, the end result was that despite the MNR contravening these Sections of the Public Lands Act the Court ultimately decided that Section 28 of the Public Lands supercedes the others, and if the MNR unilaterally decides the lands are unsafe or that the Minister wishes to build a hydro-electric generating station anyways, they can. There will be a portage of canoes across the historic Bala portage from the Moon River landing to Lake Muskoka. The Wahta Chief will be available for interview. Bala, Ontario, is located on Muskoka Road 169 approximately 200 km north of Toronto, and 25 km northwest of Gravenhurst. CTV News and other media will be there too. If you would like to be part of the flotilla, be at the Town Docks on the Moon River at 10:30 am this Thursday August 28, 2014 with your canoe or kayak (and PFD and marine safety kit). Otherwise, be at the District property just south of the Bala north falls at 11:00 am. This event is about the Bala Portage, so no red T-shirts and no signs. Those in attendance will be there in support of Wahta Mohawk and the Bala Portage. The Wahta Mohawks (formerly the Mohawks of Gibson) arrived in Muskoka in November of 1881 using what is now called the Bala Portage – which has always been south of the Bala North Falls. Historical documents clearly show that other First Nations in the area used this Portage prior to this. 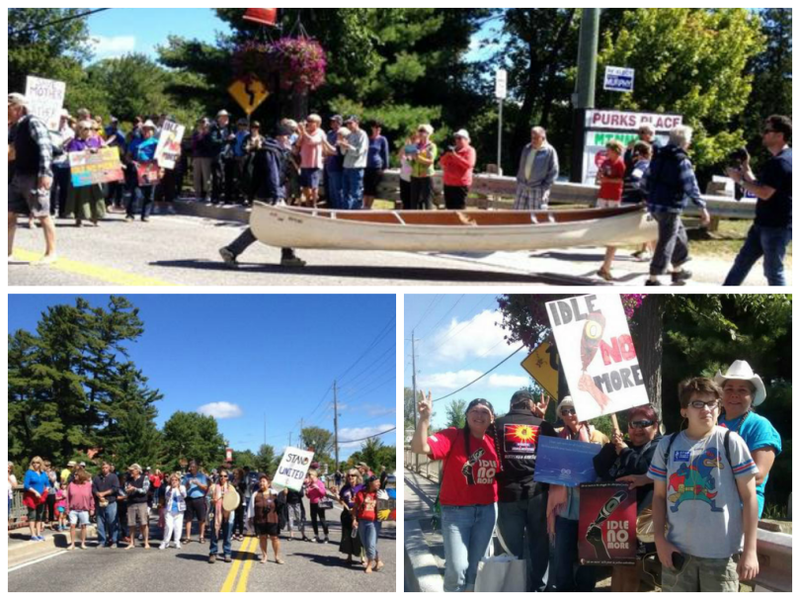 Transportation by water and portaging is traditionally and culturally important to all First Nations, and it is disrespectful that we were not informed of the impact on the Bala Portage by this proposed project. We plan on raising this issue with our political representative organizations including the Iroquois Caucus and Chiefs of Ontario. We therefore hereby give notice that the communications and information the Wahta Mohawks have received concerning this proposed project have been completely inadequate, and the “Duty to Consult” has not been fulfilled. Go here to read the entire letter. There is a lot at stake in a battle that has gone on for close to a decade. Through a “Competitive Site Release” in 2004 the Ministry of Natural Resources (MNR) made some Crown land available south of the Bala north falls for the development of a hydro-electric generating station (Bala is north-west of Gravenhurst). The MNR is very motivated to see this happen, as not only would it help fulfill the province’s mandate for additional power generation from renewable energy sources, but MNR staff would also no longer need to adjust stop-logs to regulate water flows and levels, or be responsible for the maintenance and repair of the Bala north and south dams – instead, the proponent would have these responsibilities. Unfortunately, the MNR appears to be so motivated that they have shown little concern for the many negative impacts on fish spawning and other habitat problems that would be created. In 2005 a proponent was awarded “Applicant of Record” status, and since then has proposed at least three different configurations, all of which would also create major public safety and economic problems. SaveTheBalaFalls.com, the local cottager association, and the public have therefore been actively engaged both in the process and also in ensuring the appropriate government Ministries, agencies, and politicians are presented with the many outstanding concerns and issues. One major issue is that the Bala Falls landscape is central to Bala and the surrounding area’s recreation and tourism economy as the falls are very visible and accessible, and are the main focus of visits – including literally bus-loads of tourists in the summer. They come to view the falls, to climb on the rocks, and to play in the usually serene water at the base of the falls. There are also residences within 200 feet, as well as long-time and very popular public in-water recreation that occurs within 50 feet, both upstream and downstream of the proposed generating station and the treacherously turbulent water it would create. Another major issue is that the proposed project would obstruct a traditional and historic Portage, which is still in use. As a result of a request by the MNR, written historical proof was provided to confirm that this Portage was in use prior to the initial Crown land patent, and Section 65(4) of the Public Lands Act prohibits such obstruction. In May 2013 the MNR unilaterally declared that this land was suddenly too dangerous for the public to access – even though their own 2011 Public Safety Measures Plan for this exact area had no such concerns. We have responded with reasons why this proposed project would still be illegal under the Public Lands Act, and await a response on this complicated topic. Two years ago, the Ministry of the Environment (MOE) told us that in the ten years the current legislation has been in place, there have been more than 50 requests to elevate different proposed hydro-electric generation proposals to an Individual Environmental Assessment. Such further study is the required first step to having any chance of an Environmental Assessment (EA) approval being denied. But the MOE has denied EVERY ONE of these 50 requests. That is, there has never been a “Part II Order” request for elevation approved. This places the fairness and efficacy of the entire EA process in question. The current situation for the proposed Bala project is that not only are major approvals still required from all four levels of government, but there are legal challenges as well. And SaveTheBalaFalls.com and the community will continue to ask; would it be safe, would it be beautiful, and would there be enough water over the falls to continue to draw people to Bala. 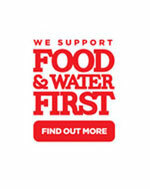 We still don’t have answers, so we continue to ensure decision-makers know the problems. Click here for more information, including the sign-up for our e-Newsletters. Minister of the Environment has confirmed the Director’s decision to deny the requests to elevate the Bala Falls hydroelectric proposal to an Individual Environmental Assessment.